The membrane biophysics session included eight talks ranging from model membrane systems to whole cells and peptides to membrane proteins. The invited speakers were from Japan, India and Australia, and the selected presentations were primarily from early career researchers covering a range of topics in membrane biophysics. The talks were informative and exciting with stimulating discussion and audience interaction. 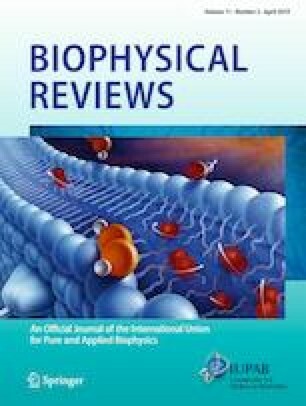 This article is part of a Special Issue dedicated to the ‘2018 Joint Conference of the Asian Biophysics Association and Australian Society for Biophysics’ edited by Kuniaki Nagayama, Raymond Norton, Kyeong Kyu Kim, Hiroyuki Noji, Till Böcking, and Andrew Battle. Pingsheng Liu declares that he has no conflict of interest. Frances Separovic declares that she has no conflict of interest.